Some of the attractions of living in the Heathrow Florida area are the sunny days with subtropical temperatures and the open, well-manicured and palm tree-lined green spaces that make it a beautiful place to call home. But as residents and business owners know, it also becomes hot and humid here. 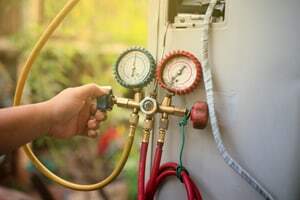 This makes exceptional AC repair in Heathrow Florida an unquestioned necessity, especially when you notice that your air conditioning is malfunctioning. Expert technicians from DC / AC Air Conditioning and Heating have provided the most trusted Heathrow air conditioning repair for over 25 years. A quick phone call or a few website clicks bring the expertise, integrity and leading air conditioning repair skills of our technicians directly to your doorstep. You can’t find more convenient HVAC service that is dedicated to 100 percent customer satisfaction. Once you call for the free AC repair estimate Heathrow relies on for accuracy and affordability, you’ll experience a supremely cool indoor environment and soothing temperatures even in the hottest conditions. 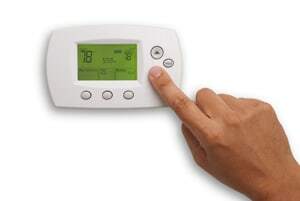 Our main goal is to provide the affordable AC repair Heathrow needs in the most timely and efficient way. We know you’re busy and that your time is valuable so we make sure to show up when we say we’ll be at your home or business ready to get to work on your AC system. 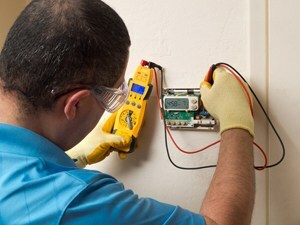 We choose our technicians from the best and most qualified professionals in the business. Every specialist that comes to your home believes in our core values of professionalism, integrity, honesty and providing exceptional service. DC / AC Air Conditioning and Heating provides the AC repair Heathrow needs and the exceptional AC service Heathrow wants in a way that has earned us an A+ rating with the Better Business Bureau and a consistent track record of complimentary customer reviews. We know that when a customer is completely satisfied with the work we’ve done, they’ll be back to schedule more work with us, and they’re more likely to refer us to friends, family, neighbors and co-workers. We’re also proud to have been named among the 2017 Orlando Sentinel Best Bets for the Best AC Company. We value this excellent reputation and work hard every day to maintain it. Our technicians are dedicated to being knowledgeable, courteous dependable and helpful so you get the expert AC repair Heathrow has depended on for over 25 years delivered straight to your home or business. We know there’s not a moment to waste when your home or business indoor environment is hot and becoming hotter due to malfunctioning air conditioning. DC / AC Air and Heat is your number one resource for excellent AC repairs and the AC service Heathrow needs to stay cool and comfortable. DC / AC Air and Heat makes sure we follow all the industry standards for safety when we perform tasks like recharging your refrigerant. The latest air conditioning systems are also renowned for being eco-friendly, better for the environment, operating more efficiently and for leaving less of a carbon footprint. We share your goals of keeping our surroundings cleaner and we’ll also let you know what your expected energy savings can be with the newest systems. Every service we deliver when doing your Heathrow air conditioning repair is done with a commitment to your satisfaction and an unwavering commitment to keeping our local area cleaner and safer. We keep all work areas clean and focus on cleaning up after the work is done so there is as little disruption to your routine as possible. We think you’ll see the difference in DC / AC Air and Heat, and that you’ll be impressed.